Size: 8" Wide x 16" High This arrangement is a great pick me up gift! Fun and funky in a slim glass container with leaf wrap. 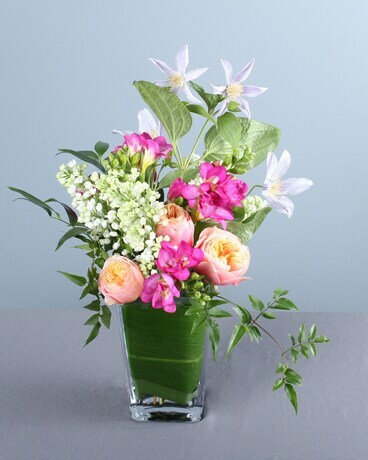 Depending on availability, substitutions of specific flowers may be necessary, however the overall look of the arrangement will remain the same.